Last year, at the final conference of our Leading for Effective Teaching project, we brought together leaders from 15 school district and charter management organizations from across the country to discuss how our school systems need to change to support better student achievement. 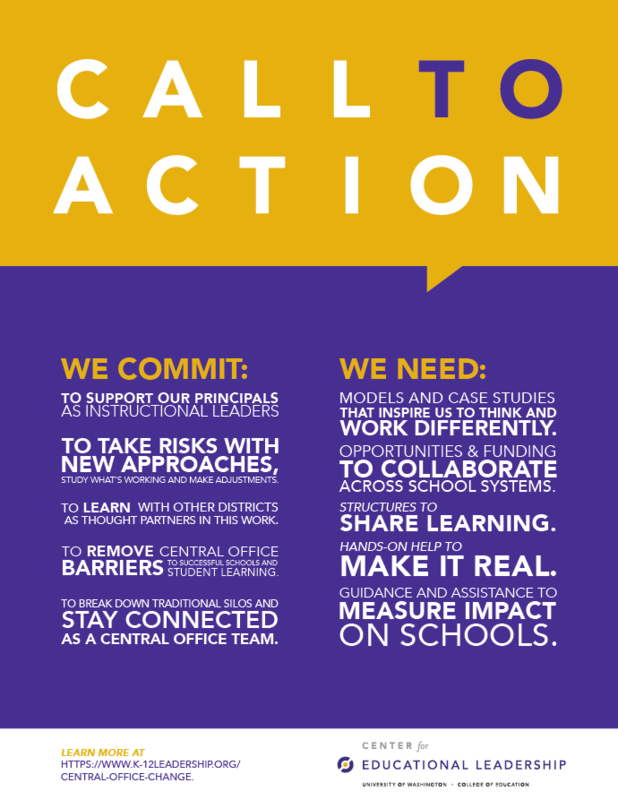 On the last day, we asked them to come up with a call to action for everybody that wants to make central office work for students. We need to change. Central office needs to partner with, not just manage schools. That's why we ask you to take this call to action, share it with your colleagues, discuss in your team and use it as a starting point for transformation. Click here for an interactive presentation of the Call to Action, links to supporting resources and a PDF download of the document.